Home » Interesting facts about hair transplant cost around the United States. For many men and women, when it comes to coping with hair loss, surgery may be the only viable option that does not entail a life long need to take pills and apply creams that add up in costs over the years. While surgery has a much larger immediate price tag, the fact that there is not a need to repeat it constantly, as with other treatments, makes it quite cost effective and convenient. The recovery time for most hair transplant operations is short, most people return to work within a week of undergoing one. Depending on the size of the practice, technique and experience of the doctor, it can run anywhere from $3 a graft to upwards of $10 per graft. This can translate to a simple treatment costing anywhere from $2,250 to $7,500. The difference climbs even more when there are larger areas being treated. The technique and area needed to be treated are the two largest factors in the basic costs for treatment. 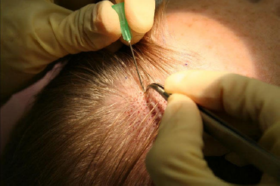 The typical hair transplant involves taking a graft from a viable section of hair, often behind the ears or along the back of the head where any scar lines are less visible. The good section of follicles are divided into their naturally occurring groupings and transplanted into key locations where there is balding, typically along the top and crown of the head. What happens to your scalp after a transplant. Post operation, your scalp will be red and tender with some potential bleeding and swelling. Recovery, however, is usually fairly quick. The transplanted hairs will finish their current growth cycle and shed before going dormant over the next few months. After that though, they will return to a full growth cycle. It can take as little as a single session to achieve the desired results, but some people may need a few in depth sessions to get maximum coverage for bald areas. What is the higher end cost of hair transplant treatments? When it comes to the most expensive sessions in hair treatments, the average high end costs can be anywhere from $7,000 to $14,000 a session and involve transplanting thousands of hair follicles. Comparatively, that can be the same for paying for Rogaine on their club pricing for 38 years. If you are taking Finasteride along with using Rogaine treatments, it is still the same as 28 years worth from the higher end’s cost. The monthly cost for pill and topical is around $50, give or take regional availability in suppliers. Sometimes, the medication alone though can run into the hundreds if insurance does not cover it, or a large chain supplier is not within distance. Who all undergoes hair transplant procedures? Anyone who lived through the 90s may recall the infomercials regarding the special clubs for men that did hair restoration procedures. They often advertised as a specialty service for the male population, with very minor notes at the time about women. However, times have very much changed since then. Hair grafting over plugs has become the popular method of restoring the appearance of hair that has been lost or become exceedingly thin. Hair transplant for women is also increasing in practice as well. Of those who report the condition, 60% of patients are males and 40% are females. Those numbers are just on the people who talk to their primary care physician about hair loss. 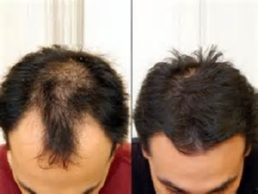 Many other sources site that there are larger percentages of women who do not speak with their doctor, but do seek assistance with thinning and lost hair. Cosmetic groups who specialize in hair transplants are also reporting an increase in their female client base. Women can benefit just as much as men from having a hair transplant. The biggest question that most people ask is; Does hair transplants work? The average, healthy individual can expect to see results after a single treatment. After the initial phase in which the transplanted hair sheds, the newly placed hairs will regrow just as they did in their previous locations. Depending on the skill of the surgeon and health of the patient, hair transplant can have up to a 95% success rate for retrained new growth. This statistic is true for both genders, as the biggest influences are health, adherence to before and after procedure care, and the skill of the surgeon. Gender has no influence on how well hair grafts will take, nor does it affect hair transplant cost. Does location affect hair transplant cost? Is it cheaper in different states or countries? Within the United States, the average cost can vary greatly. Depending on the region and availability of specialists, you may need to travel several hundred miles to find a good practice. In higher population areas, there are larger centers that offer more specialized rates than general practice plastic surgeons and can also give the lower rates. One network has offices set at key points along the borders of the country to help make it easier for patients to travel to them. Some offices even offer their services with travel, meaning the specialist will travel to an affiliated office that is closer to the patient. The cost to travel to different locations can add the overall cost of the procedure, especially if you travel outside of your country of origin to have it done. As of this year, the internal market for cosmetic procedures, in particular hair transplants, is a growing and booming industry. Compared to the cost in the United States, some countries offer the same procedures for a fraction of the price per follicle. According to a study done in February of this year, the top ten countries that were cheaper with a savings of at least 62% compared to the national average, up to a dramatic 80%, in order from least to most savings: Costa Rica, Dominican Republic, Slovenia, Greece, Sweden, Philippines, Mexico, India, Turkey,and Thailand. Are there any benefits or risks of traveling for a hair transplant procedure? As with any travel, there will be added potential risks when undergoing a medical procedure in a foreign location. Within the United States,the risks are nominal, however, outside of the country, depending on the destination, there may be strong cautions warranted. No matter what country you may be considering, you should always take the following precautions. Always do your homework. Research the facilities and doctors that you will be visiting and that will be performing the procedure or procedures. Verify their credentials and community standing. If a doctor is hesitant to provide proof of their skill or training then you should continue your search. Any doctor who has undergone proper procedural training and does a good job should have no hesitation in presenting proof to potential clients. Just as important as their credibility on paper is their reputation by word of mouth. Patients who are genuinely satisfied with the work should be able to give a simple recommendation or approval for a doctor. The community in general should also have a positive impression of them as well. Just as you would not go to a licensed doctor in the United States that has a poor reputation with the locals, don’t rely on a foreign doctor with a bad reputation in their community. You should also know exactly what hair transplant cost to expect and be leery of doctors who are undercutting or trying to undercut the competition. Even if it may be cheaper in another location than in the States, there will still be a baseline cost associated with doing the procedure properly. The setting should be just as clean and sterile as an operating room for medical procedures no matter the location. If a physician is offering to do the procedure for half of the local rate, don’t be tempted to take the even cheaper road. The cut in cost often means a cut in something vital to the success of the operation. Using your trip as a bonus type of vacation. Aside from proper research and selection regarding a non local or even foreign location for a hair transplant procedure, there are benefits associated with travel in general. When everything is planned properly and executed according to plan, it can be a great way to also add in some stress relieving time. Stress can be a serious contributing factor to hair loss. So while you are setting out to get a corrective procedure, it can be a good time to take a side vacation and enjoy some relaxing down time. Being less worried and tense can help speed recovery. If anything about the trip begins to strike a chord inside and increases your stress level beyond what may be expected, it should be reconsidered. You want to make the most of a hair transplant procedure, as it is a type of investment in yourself. In particular, it is an investment into the quality of your life. Done right, it can be a life changing treatment for many people suffering from hair loss.